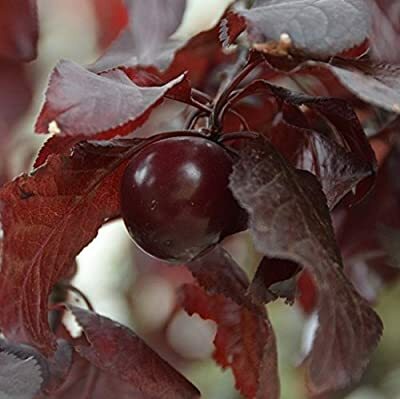 25+ Seeds of Prunus Cerasifera - Cherry Plum Tree. Purple Delicious Plum! Product prices and availability are accurate as of 2019-03-02 16:04:14 EST and are subject to change. Any price and availability information displayed on http://www.amazon.com/ at the time of purchase will apply to the purchase of this product. Germination Advice: Plant in Fall or Winter and expect sprouts in Spring or provide a cold period by stratification in the refrigerator prior to planting. The seed needs a chilling off period at temperatures of between 33-41 F before it will germinate, about 10-12 weeks.